The Polish Patent Office received a request for the conversion of the CTM FOX Petroli S.p.a. application no. 002672533. This sign was applied for the good in Class 4 such as petroleum, industrial oils and greases, lubricants, fuel (including motor spirits). The PPO refused to grant the right of protection because it found similarity between the applied sign and the word trade mark FOX-OIL R-96049 and word-figurative trade mark FOX-OIL R-96843, both registered for goods in Classes 04, 19 and 39 and owned by FOX-OIL I. Olszewska, W. Okoniewski Spółka jawna from Gdańsk. The PPO ruled that the signs share the same word element, and in case of figurative elements, the word FOX has been particularly exposed. 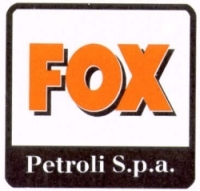 FOX Petroli S.p.a. filed a complaint against this decisions. The Voivodeship Administrative Court in Warsaw in its judgment of 13 December 2010 case file VI SA/Wa 1650/10 dismissed it. The Court ruled that the average consumer of a particular type of goods is perceived as a person who is reasonably well informed and reasonably observant and circumspect. The Court confirmed also the consistent opinion that the level of the average consumer’s perception may vary depending on the type of goods or services. The VAC held that the goods belonging to the group of petroleum due to the development of technology (including automotive) are treated as everyday use goods. Categories: Art. 132(2)(ii) IPL | conversion of CTM application | Polish Act on Industrial Property Law | similarity of goods | similarity of signs | trade mark refusal | trademark law | Voivodeship Administrative Court.